This disease affects approximately 10 percent of the over 65 population and 50 percent of people who make it past 85 years old. Acetylcholine is a chemical produced in the brain which functions as a neurotransmitter. This chemical provides assistance with reasoning and cognition. 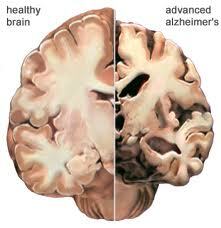 In Alzheimer's disease, this chemical is often lacking in quantity of production. FDA approved drugs and those drugs currently undergoing clinical trials are seriously toxic to the human body to the extent that they are suspected of putting the patient at risk for future liver disease. The prime purpose in treating Alzheimer's disease if to preserve the memories in the brain, in addition to slowing the loss of cognition. There are herbs that serve this purpose. It makes sense to consider herbs that enhance and stimulate mental activity in the brain. Horse balm, Rosemary, Dandelion, Fava Beans, Fenugreek, Sage, Ginkgo, Brazil Nut, Stinging Nettle, Willow as well as Gotu Kola are all helpful and commonly used in the treatment of Alzheimer's as they stimulate Acetylcholine production in the brain.. Some herbs can be used daily as a dietary supplement. This practice is encouraged. Horse balm removes the risk of losing Acetylcholine. Plant foods like as Dandelion greens, Poppy Seeds, Soybeans and even commonly used mung beans are a good addition to anyone's diet. It is also suggested that Horse balm be added into the shampoo and conditioner of an Alzheimer's patient.